These A-Z snapshots depicting cities around the world are the perfect accent to a 21st century classroom. 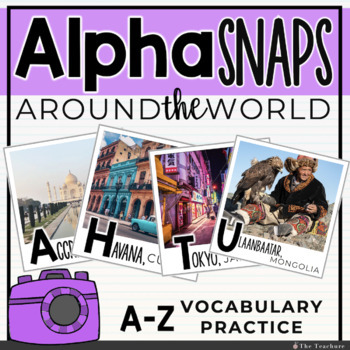 Alpha Snaps include real-world images from cities around the globe, giving your students a real-life glimpse into life inside 26 different countries. Your students can consider themselves world travelers, explorers, and global citizens with these around-the-world-themed posters hanging as reminder in front of them every day!